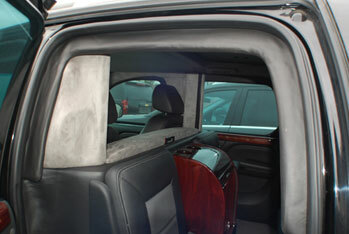 Typically the fenders are not armored in a passenger vehicle (it’s not usually necessary since the firewall is armored completely along with the batteries, fuse box, and ECM). 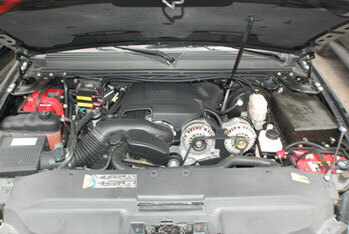 However, some clients want supplementary protection for the engine, and so armoring the fenders is an option. It’s important to note that the vehicle is not a tank, and despite the armor, it will always be a passenger vehicle. 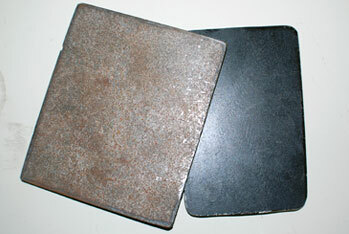 This is a light armor for the hood which is designed to defeat hand-gun rounds. It’s good protection for the engine compartment (especially when combined with ram bumpers, radiator protection and the armored fenders) and it’s not too heavy. While the floor is also always armored as part of our standard package, the ballistic steel undershield offers protection to the actual chassis and supplementary protection for the passengers. It’s a good option if large land mines or IEDs are a major concern. For the dual battery system, our engineers install a second backup battery in the vehicle in the off chance that the primary battery fails. 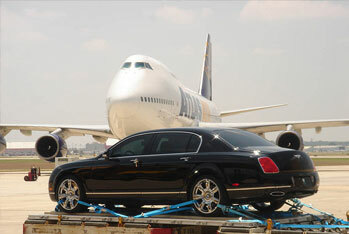 It provides for some extra assurance that the vehicle will function properly even in an unfortunate situation. The dual ram bumpers are reinforced steel that is welded directly to the frame and is fitted behind the original factory bumper. 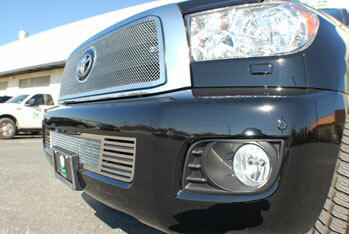 It provides for extra force and safety in the event that the vehicle needs to “ram” an opponent or obstacle. 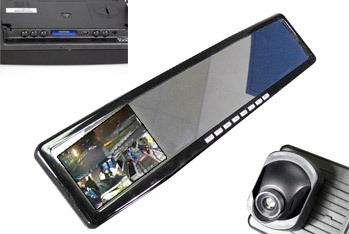 This video-recording system incorporates 4 cameras (front & rear) which go to a digital video recorder. It’s good for general surveillance and to document what’s happening surrounding the vehicle. These are pretty self explanatory–when the shock feature is turned on any attacker that grabs the door handles of the vehicle will be subject to a very unpleasant shock! Much like sticking your finger in an exposed light socket. 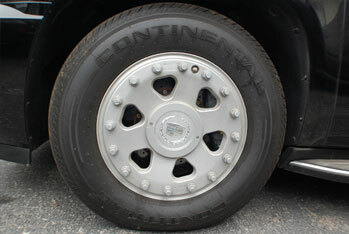 Most vehicles come stock from the factory with a small spare tire (many time referred to as a “donut”). 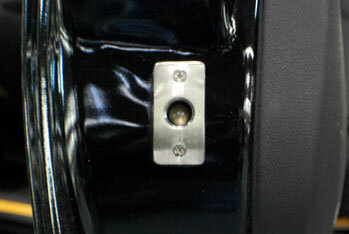 This option is for a full size spare wheel with a run-flat insert already installed. 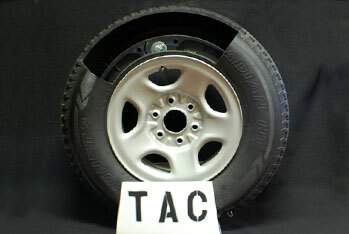 If one the tires were to have any problems, the spare could be interchanged for any of the four tires as it would be identical in size and specification. 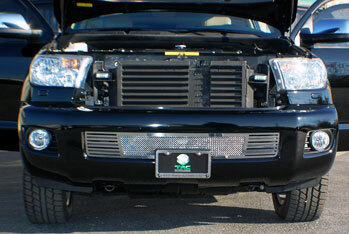 Strobe lights (low profile as they’re usually fitted behind the original headlight fixtures), offer an intimidating security feature as they project authority. Many times, an attacker will simply retreat because they feel that they’ve attacked an authority or law enforcement figure. 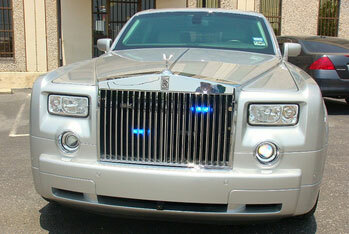 Usually, the windows in an armored vehicle are rendered inoperable by the armoring process. This option is for an upgrade to the window mechanism which allows the windows to be partially rolled down for convenience. 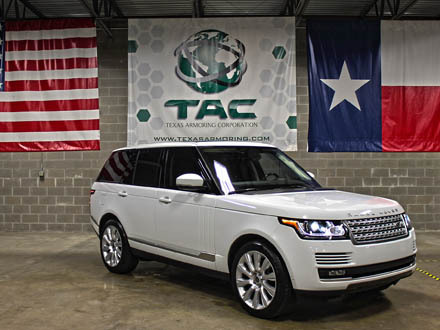 TAC can ship vehicles to nearly any worldwide destination via premium air freight or insured, containerized ocean freight. All shipping partners are TAC approved and strictly adhere to U.S. Government regulations. 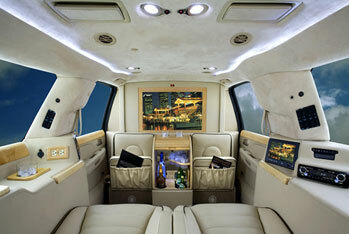 Luxury interiors can be added to most vehicles and our CEO Package conversion is easily on par with some of the world’s finest coach builders—custom Maybach-style seating, premium dividers, luxurious leather, elegant woodgrain, sueded headliners, and advanced electronics make for one of the finest and functional driving experiences available. Ranging from basic upgrades, to complete interior overhauls, our staff of engineers and skilled craftsmen can design interiors custom to our clients’ needs and take the concept of “personalization” to new heights. 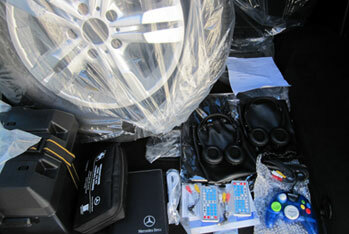 Runflat systems and upgraded tires are part of our standard package. 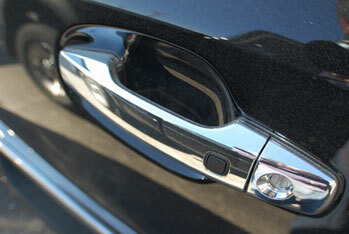 However, we also offer an optional custom, reinforced-wheel solution that provides extra protection. Our multi-piece reinforced wheels are made from a bullet-resistant alloy that is much stronger than even a typical heavy-duty wheel. Coupled with custom tires and a specialized runflat, this upgrade is perfect for extremely rough terrain and guaranteed to provide maximum driveability even after an attack. 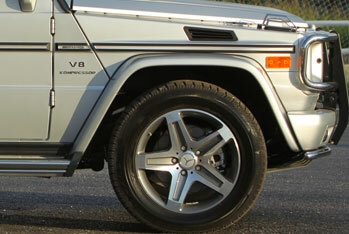 Where OEM rims fail, these wheels deliver. Our night-vision system was previously exclusively available to military personnel, but has recently been released to the public. 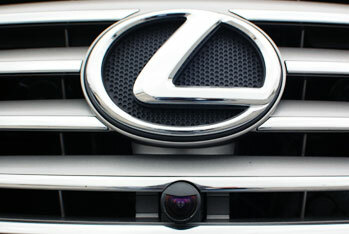 It essentially allows the driver to navigate in the dark or extremely low light. It’s a good system to detect off-road threats at night. 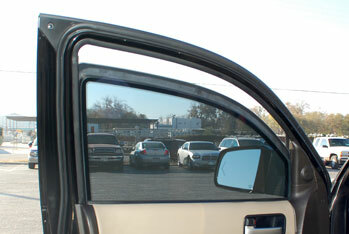 This option provides some extra protection for small areas between the pillar posts and the window frames. It provides for “overlap” armor that is wrapped to maintain a factory appearance. 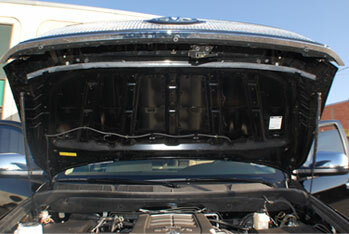 This option provides for radiator protection against an attack (as opposed to the passenger compartment). 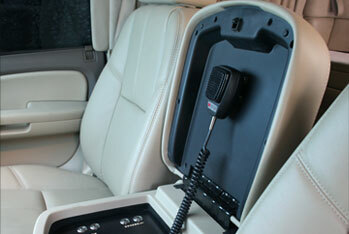 The idea behind this is to protect the vehicle’s functional systems to give you more time in an attack situation. In addition to the normal vehicle locking mechanism, the dead bolt option provides for extra security to ensure that the vehicle’s doors and locked with a heavy duty deadbolt. This option is much like the dead bolt you’d see on the door of a home. While the fuel tank is always armored as part of our standard package, a self-sealing tank is supplementary protection that covers ballistics in addition to explosives and fragmentation. Essentially, we coat the entire tank with a special compound and in the event of an attack, the fuel interacts with the compound and instantly seals the tank. 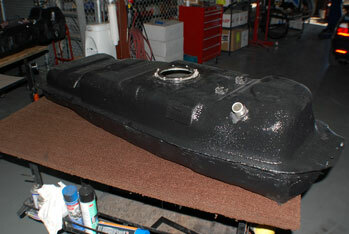 It’s basically extra protection if the fuel tank is a major concern. Similar to the strobe lights, the Siren/Loudspeaker system provides an excellent intimidation factor when dealing with adversaries. We’re a service-oriented organization and we know that the reason we’re in business is because of our clients. If you have a special request, please let us know and we’ll do our best to oblige. With enough time and budget, nearly anything is possible.